Are you looking for a delicious cheese recipe with a difference? If you are, you’ve found it! Here’s my marinated mozzarella balls for you to enjoy. 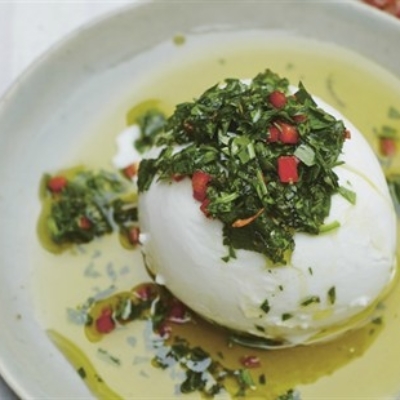 Feast your eyes on the finest marinated mozzarella balls! It’s straightforward and fun to make this great dish. Simply follow the instructions below and get the perfect result. First make Marinade 1. Finely chop the chilli, parsley and mint. Place in a bowl and add the olive oil. Season with salt. To make Marinade 2, place the garlic, thyme and oregano in a mortar, add a pinch of salt and use the pestle to grind them into a paste. Add the lemon zest and olive oil along with a little black pepper. Mix together and set to one side. Place the drained mozzarella balls on a board or platter and cut a cross in the top of each one. Drizzle one with the chilli marinade and the other with the garlic marinade. 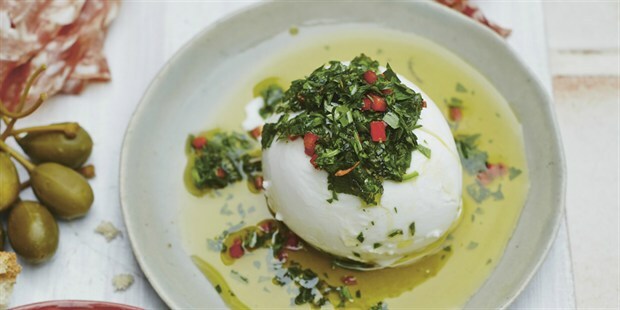 Serve the marinated mozzarella alongside the other antipasti ingredients, or just have them on their own with toasted bread and tomatoes. Once you’re done, simply sit back and enjoy your marinated mozzarella balls and don’t forget to check out other great authentic Italian recipes including great antipasti recipes, Italian pasta recipes, Italian soup recipes, Italian beef dishes and authentic pizza recipes.